The CoffeeShop Blog: CoffeeShop CrossProcessing Free PS/PSE Action! CoffeeShop CrossProcessing Free PS/PSE Action! I have had quite a few requests for a cross processing action that works in both Photoshop and Photoshop Elements. There are many great tutorials out there for the cross processing effect, but unfortunately most of them involve using the curves feature that is not found in Photoshop Elements. However, I can write an action in Photoshop using those curve settings and it will run perfectly fine in Photoshop Elements. I wrote this action to contain three of the popular cross processing techniques out there. 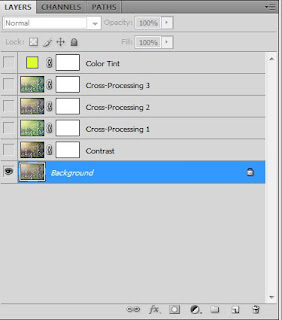 You can select the one you like and adjust the layer opacity to taste, and even mask out the effect where needed. There is also a contrast boost layer and yellow color tint layer which you can turn on and customize by adjusting the layer opacity. 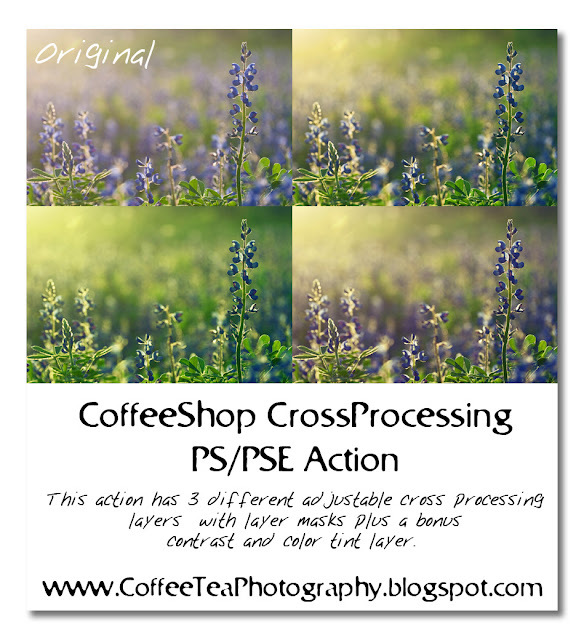 Download the free CoffeeShop CrossProcessing PS/PSE Action HERE! Great! Ok, so call me ignorant, but what exactly does "cross processing" mean? Rita, girl... you are so wonderful! This looks interesting! Can't wait to try it out!!! Keep those actions coming - you're the best! thank you, thank you, thank you. I have always loved the cross process effect in picnik. but let my premium account lapse this year to save some money. this is wonderful!! I have a photograph posted on my blog using your Perfect Portrait and DPM's Defogger. It looks so good... I even impressed myself! Thank you for making me look like a better photographer! I love your actions! Thanks so much for sharing them with us! I just installed this action. Before going any further using it I decided to clear out all the blank entries in my coffeeshop photoeffect actions in PSE7. Thank you so much for this Freebie. I want to let you know that I posted a link to your blog in Creative Busy Hands Scrapbook Freebies Search List, under the Uncategorized post on May. 07, 2009. Thanks again. im posting the photos i just applied this too to my blog. you do such a wonderful job of explaining them too ... im actually starting to understand the process of actions. you are so so amazing! thank you for making all of these actions free! love your chocolate b&w action, by the way! Can't wait to try this one! Wow, this is the best I have seen, you are good! This is an awesome action, thank you so much!